Leah Capelle's captivating new video "Settle Down" addresses inner and outer adversities alike, as well as a reminder that things will get better with time. Los Angeles singer-songwriter Leah Capelle is quickly becoming something of a hot commodity, her music trending for its liberating focus on women's rights, body positivity, and self-empowerment and understanding. 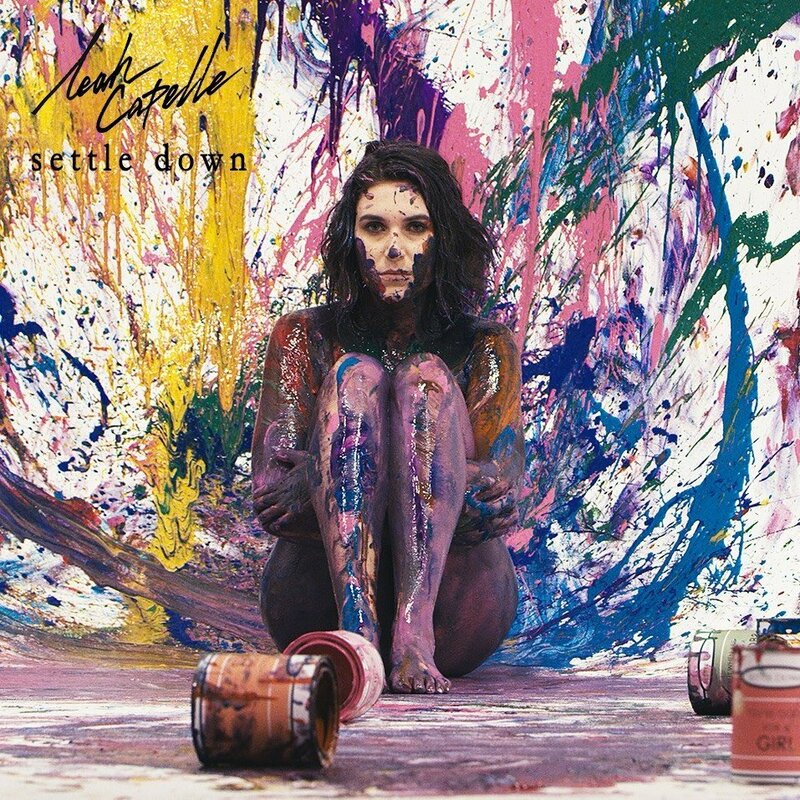 "Settle Down" is the latest in the artist's catalog and certainly follows the powerful path that she's already been paving. The song lilts into what begins more as a more of a gently arranged ballad than her previous single, "Docs", but bursts into a breakneck rock bridge as Capelle is embattled by the haze of society's stereotypical expectations. It's an ebb and flow that succeeds in an intent to represent the pain that Capelle was feeling at the time of writing the song, and its accompanying music video vividly expresses itself by following those same cues. Capelle tells PopMatters, "The official video for "Settle Down" was a highly creative process involving lots of different brains, and I'm so proud of how it ties into the very emotional and honest lyrical content in the song. It is by far the most vulnerable piece of art I have ever created. The visual seeks to capture the aching, helplessness, and disillusionment I felt when I wrote the song. The paint cans each wear a controlling statement that has been imposed on me, though I believe them each to be relatable across the female experience. The paint itself is a metaphor for how obscured I felt at the time – and by having both faceless figures and my own hands push the paint onto my skin, it represents the blurring and obstruction of my genuine identity in place of a person literally dripping in the expectations of others. You are not alone!"